Forget Football in America! 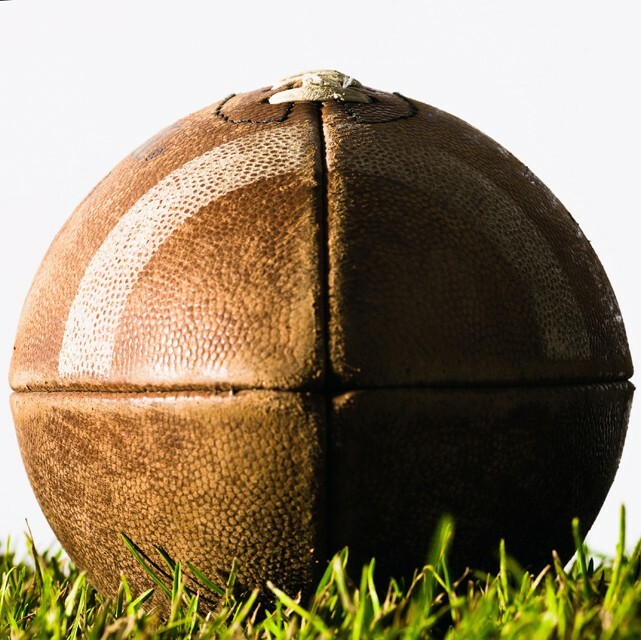 We’re Talking Football in the Office!! It barely reaches 14 inches tall yet its stature is staggering. It weighs in at less than a pound yet the power it yields is overwhelming. The prestige of it is so great that it is kept heavily guarded in a top-secret vault somewhere in northern Kent County, Michigan. What is it? This can only be none other than the World Famous Traveling Trophy. A moment of silent respect please …. 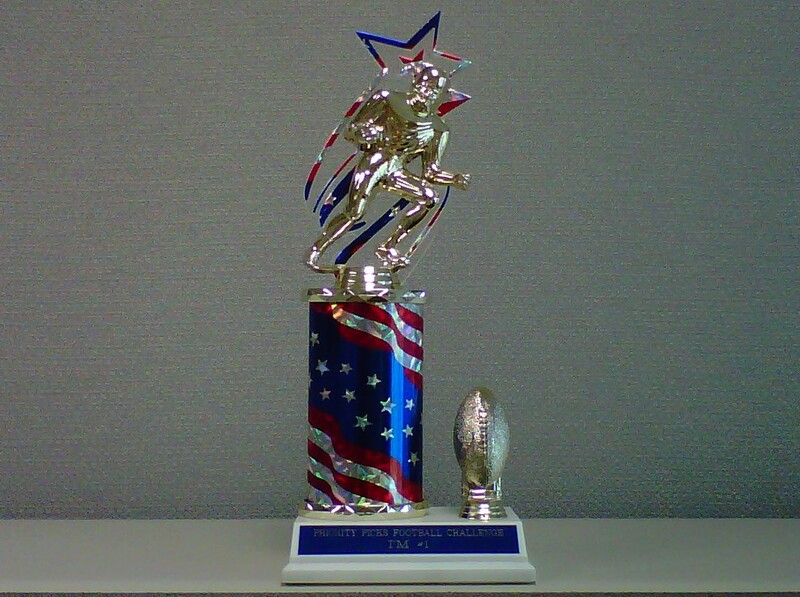 Every year at this time our employees enter into the fiercest of competitive events: the Pigskin Pick-Em’s. 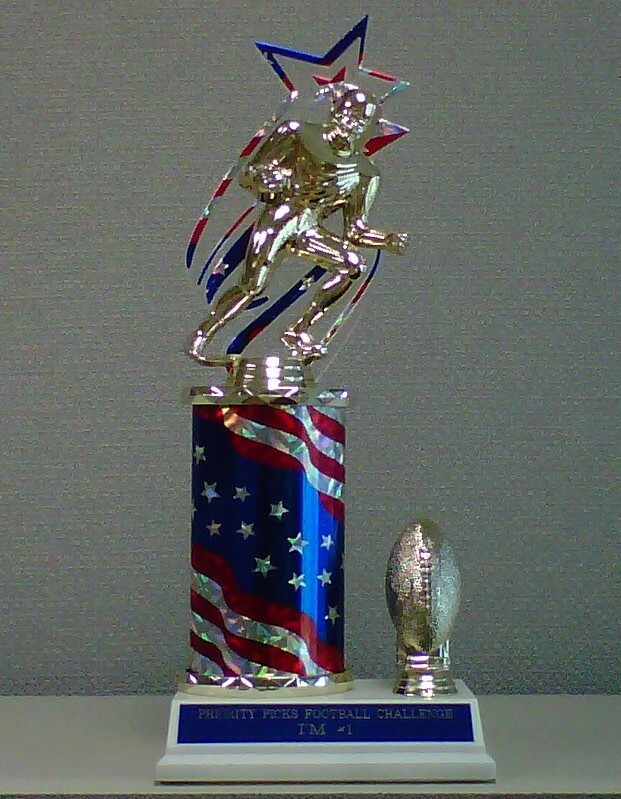 Each week participating employees select which football teams they have determined will win their respective match ups. Each week, when the results are revealed, one victorious person within our company receives the dubious honor of displaying this icon of power and posterity upon their desk for all to gaze upon. The respect this trophy beholds is so great that no one dare touch it unless they have already been bestowed with the honor of winning any week’s picks. Now before you think we have all totally lost it, let me assure that we are not a complete bunch of nuts. We are just a little competitive during this season where bragging rights give us great personal satisfaction and cheap entertainment. Hey we don’t get out much; we’re handling your home loans with the utmost focus. But admit it. You want to play now too don’t you? Unfortunately this game is just for us employees, but we are developing one you can play! Each week you can visit our website and select your winning picks and we will post the winning player on our Facebook page. Of course after the above description of our antics this seems a little lackluster. That just won’t do. So let us introduce the AHF Charity Gridiron Challenge!! This will soon be up on our website for your enjoyment, bragging rights and competitive urges. Each week you will play for a $50 gift card to a national chain restaurant. But wait, there is more! You will also be playing for your favorite non-profit, 501c3 verifiable charity. (Sorry our legal department insisted that part be added.) When you win, your charity does too with a $100 check! But that’s not all! After 17 weeks of nail-biting, hair-raising intensity the charity that has ‘won’ the most weeks will also win an additional $2500!! Now here is where the real fun begins. Your involvement in getting others to play is critical because in the event of a tie between charities, the organization with the most number of supporters playing will be the winner. Whoa! The game will be up and running on our website by September 7 along with complete rules and game details. Act now, operators are standing by! Not really, but we do hope you have as much fun as we do. Game on!! This entry was posted on September 1, 2010 at 9:06 am and is filed under All Articles, Awareness Home Funding, Awareness Staff, Promotions / Events. You can follow any responses to this entry through the RSS 2.0 feed. You can leave a response, or trackback from your own site.